Warning this recipe is highly addictive! 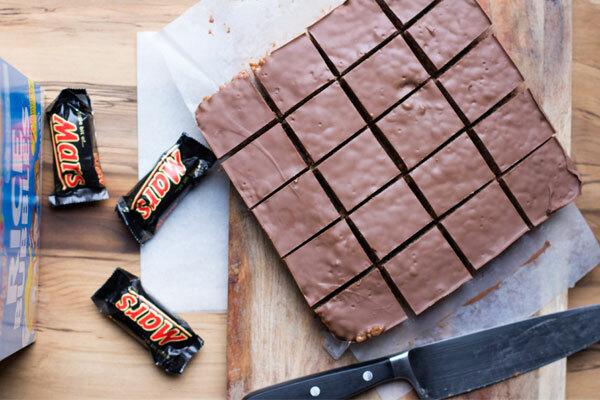 Proceed with caution… This ultra indulgent no bake Mars bar slice recipe is also dangerously tasty. Do you love chocolate? Caramel? That memory of chocolate crackles at every birthday party you went to as a kid? 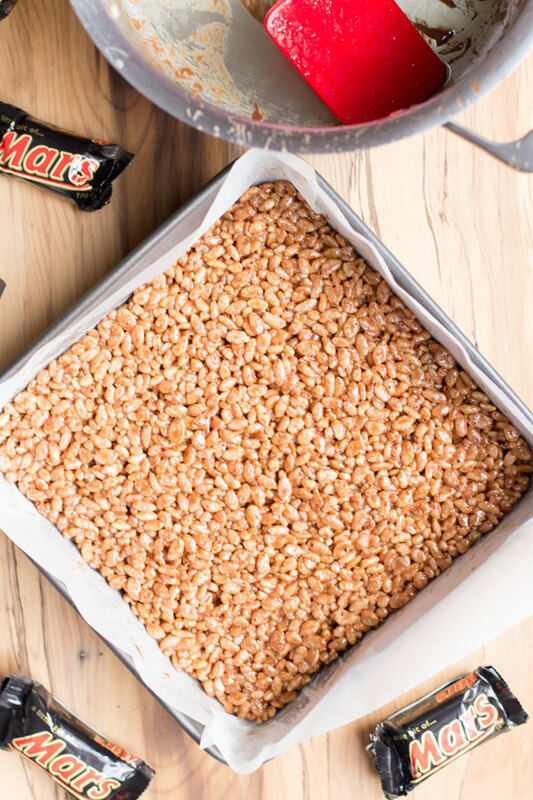 Then this no bake Mars bar slice recipe is for you! Mars bar slice is one of those recipes that has been around for years! 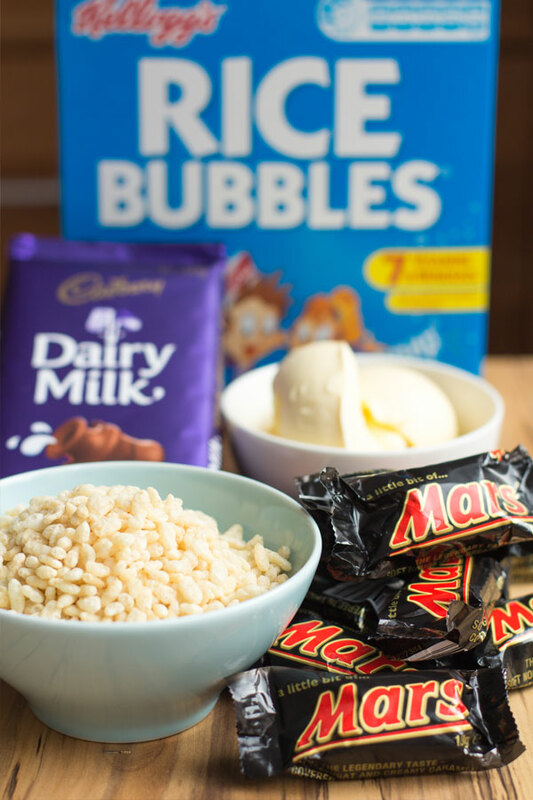 The ooey gooey melted mars bars, combined with rice bubbles and a chocolate icing set on top is not only a treat for the kiddies, it is also a treat for the adults! 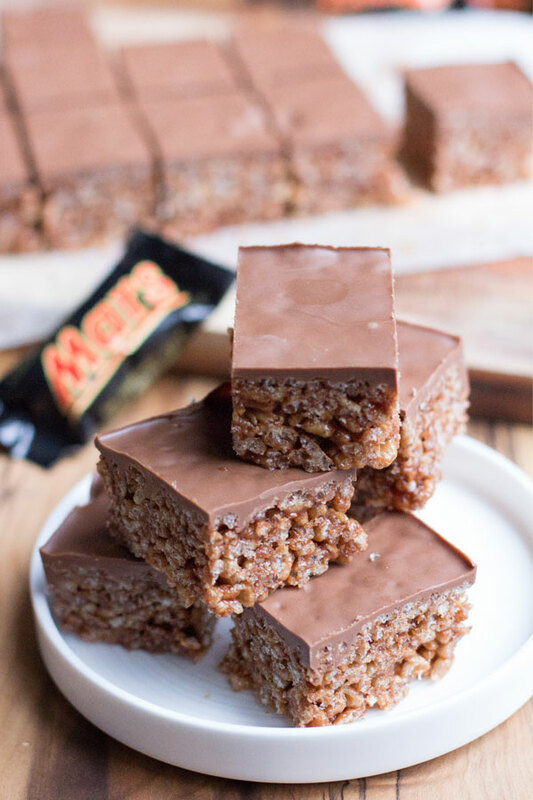 If like me you’ve always wondered how to make Mars bar slice you will be pleased to know this recipe is so easy to make, requires only four ingredients and did I mention you don’t have to bake it? Perfect-o! This timeless favourite and crowd-pleasing treat is perfect for those time poor and perfect to make for parties or take along to functions. No doubt it will be a hit with all ages! 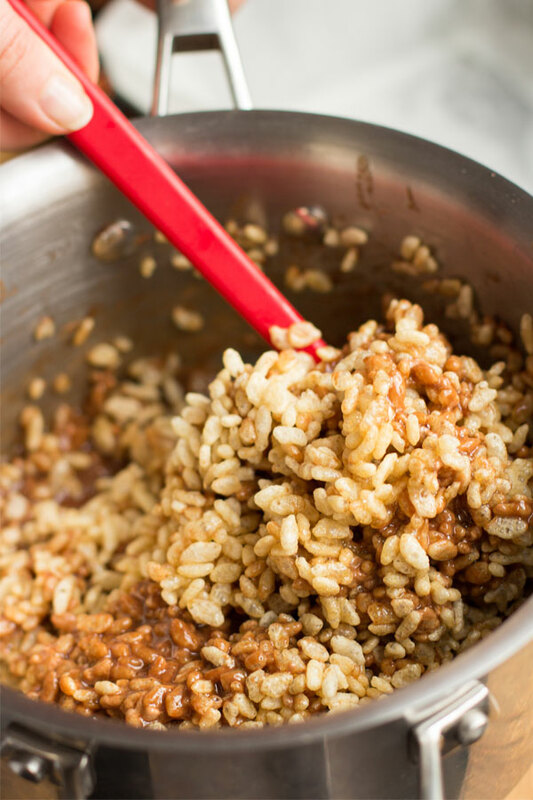 Simply melt the mars bars in a large pot with a little butter and add the rice bubbles. Filling a square tin with the mixture, top off with a simple Cadbury chocolate icing and allow to set in the fridge! Slice into bite sized pieces or a square depending on your preference. Voila! Note – it is encouraged you share the mars bar slice with friends, family or work colleagues otherwise you will end up eating it all if you have no control! If you like sweet treats then check out these our recipes for chocolate mint fudge or passionfruit marshmallows. 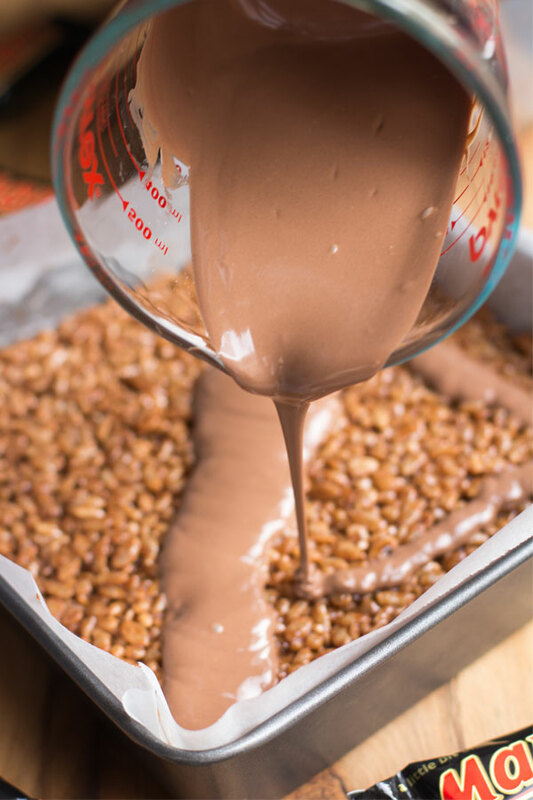 Mars bar slice recipe the ooey gooey melted mars bars, combined with rice bubbles and a chocolate icing set on top is not only a treat for the kiddies, and is also a treat for the adults! Line a square 16 inch baking tray with baking paper. Combine your chopped Mars Bars and butter in a saucepan. Stir constantly over low heat, do not boil. Stir until the mixture is smooth. Stir in your Rice Bubbles. Press your mixture evenly into your lined baking tray. Microwave your chocolate in a small bowl until melted. Use a low setting. Stir every 20-30 secs. Spread the chocolate nice and even over the slice mixture and refrigerate until set. For as long as I can remember my family have been buying ginger nut biscuits. The traditional flavour and tough texture which can withstand a dunking into liquid helped this classic withstand the test of time. While I’m not claiming this recipe is healthy I have recently read about the health benefits of ginger so we have been trying to incorporate it into more and more recipes. 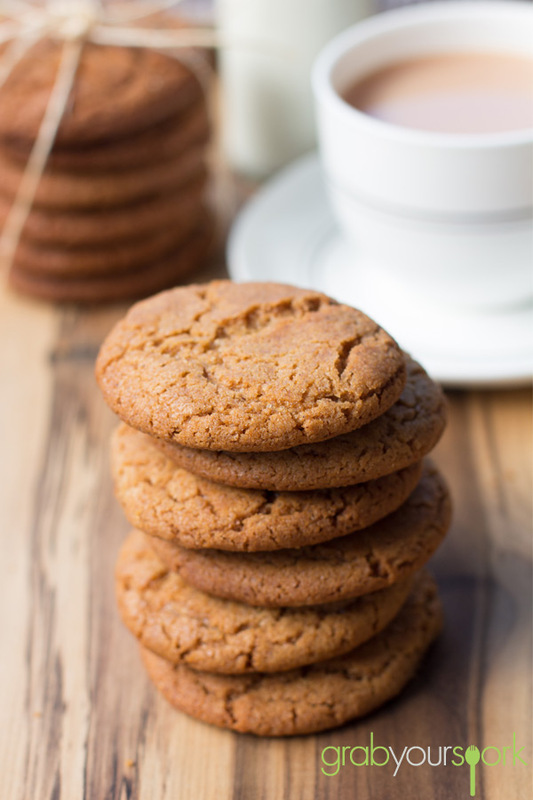 The ginger nut biscuit or ginger snaps as they are often referred to in the U.S. are simple biscuits flavoured with powdered ginger and usually a variety of other spices, most commonly cinnamon, molasses and nutmeg. They’re fairly spicy biscuits, but the taste develops in your mouth, ending with a wonderful ginger taste. When Brooke makes these biscuits, she uses cinnamon to enhance the spicy flavour, as she is also rather partial to Speculaas, a Dutch spiced shortcrust biscuit. When baking the biscuits you want them to be a rich golden brown. Cooking for 15 – 20 minutes will leave you with biscuits that are a lovely balance between snap and chew, rather than “teeth-breaking”, like so many store-bought ones. The golden syrup also helps give the biscuit its texture. The simple ingredients and easy steps make these biscuits the perfect treat to make on a cold winters day to have with a cuppa. Plus your house will smell amazing! 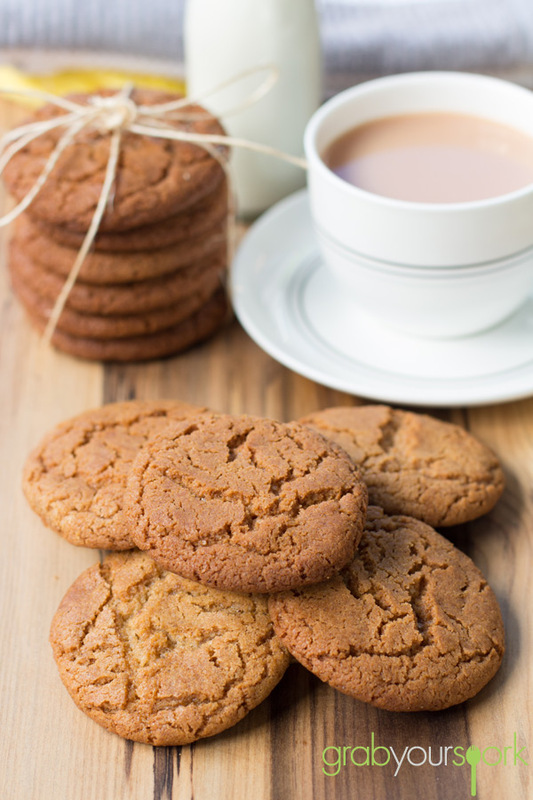 If you love this ginger nut biscuit recipe then be sure to check out our recipes for florentine biscuits, oatmeal raisin cookies, melting moments with jam. The Ginger Nut or Ginger Snap as it is often referred to in the U.S. is a simple biscuit flavoured with powdered ginger. Mix together butter and sugar until pale and creamy. 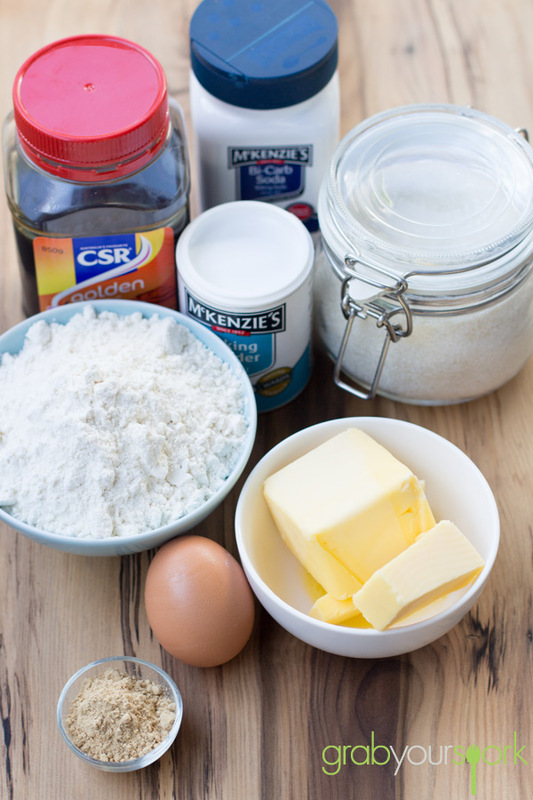 Mix in golden syrup, egg and combined dry ingredients. 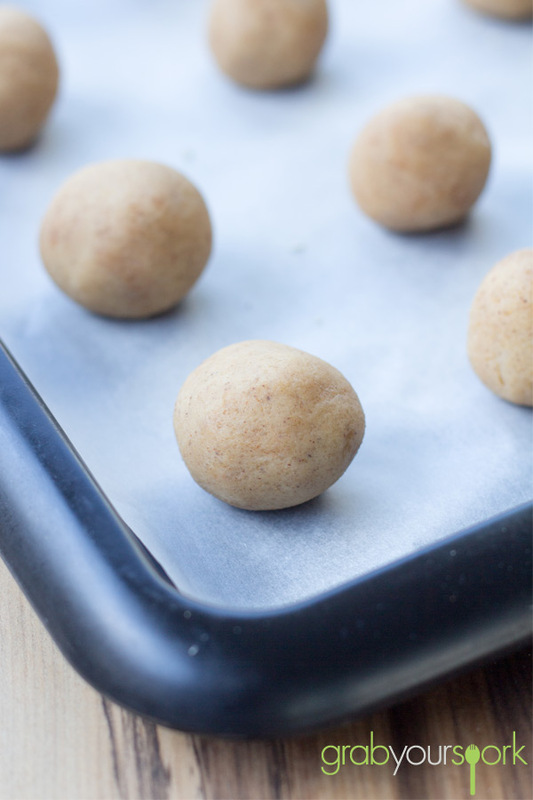 Roll into balls, roughly 1 heaped tablespoon and place on lined baking trays allowing enough room for biscuits to spread. Do not flatten. Bake for 15 to 20 minutes until rich golden brown.